*.DAO (Duplicator), *.TAO (Duplicator), *.ISO (Nero, BlindRead, Creator), *.BIN (CDRWin), *.IMG (CloneCD), *.CCD (CloneCD) , *.CIF (Creator), *.FCD (Uncompressed), *.NRG (Nero), *.GCD (Prassi), *.P01 (Toast), *.C2D (WinOnCD), *.CUE (CDRWin), *.CDI (DiscJuggler), *.CD (CD-i OptImage), *.GI (Prassi PrimoDVD), *.PXI (PlexTools), *.MDS (Alcohol), *.MDF (Alcohol), *.VC4 (Virtual CD), *.000 (Virtual CD), *.B5T (BlindWrite), *.B5I (BlindWrite), *.DMG (Apple Macintosh), *.IBP (IsoBuster), *.IBQ (IsoBuster).. This version's hot new features include FAT file-system support. 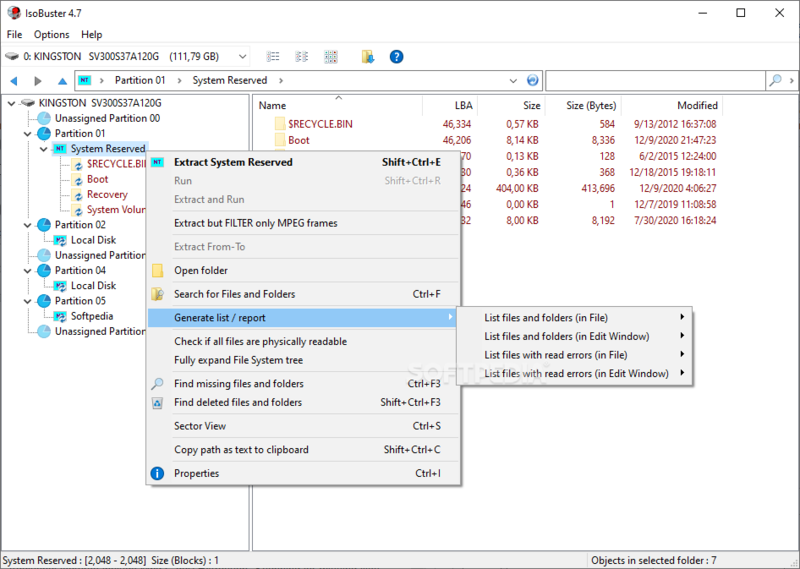 FAT can be used on random writable media with internal defect management, also optical media, such as DVD-RAM and BD-RE, hence the need to support it in IsoBuster. E.g. Windows XP and Vista support formatting such media with FAT16 or FAT32. 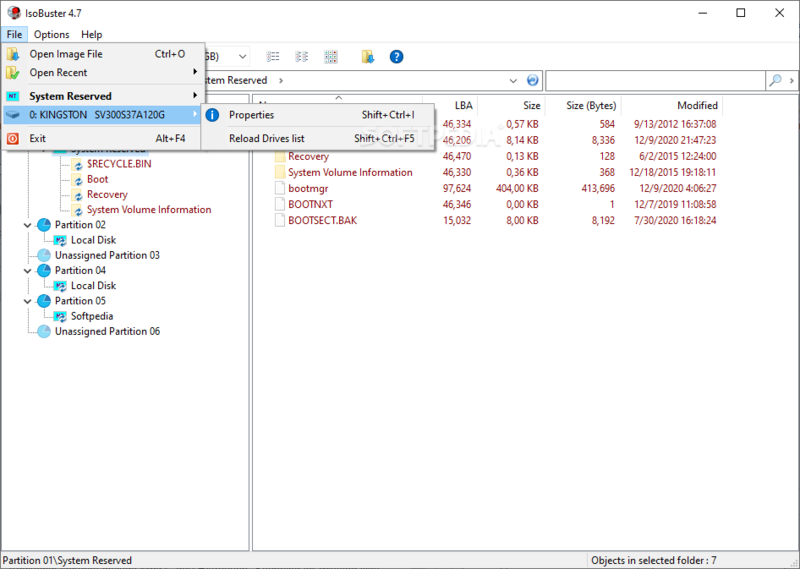 The added advantage now also is that IsoBuster can open a wide range of disk image files. E.g. disk images from Hard Discs, Memory sticks / Pen drives, Jazz, Zip, Floppies etc. IsoBuster will still treat the content as a CD but all files and folders will be available and of course IsoBuster's other powerful features.